We're going to clear through a few posts that Golden Rock had queued up, but never quite got polished enough to post. And what better place to start than this? Well, maybe something new that you haven't heard before, but clearly that's not how we're rolling today. Now, we've already made it fairly clear that the CCPS staff is fairly inept when it comes to skateboarding. 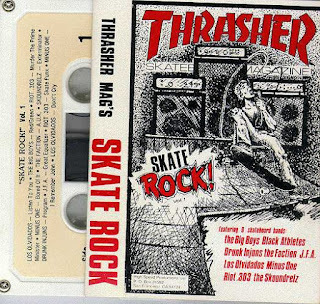 Still, that doesn't mean we don't have a huge amount of respect for Thrasher magazine, especially since they made a massive contribution to our city's music history by featuring Riot .303 on their inaugural Skate Rock compilation. 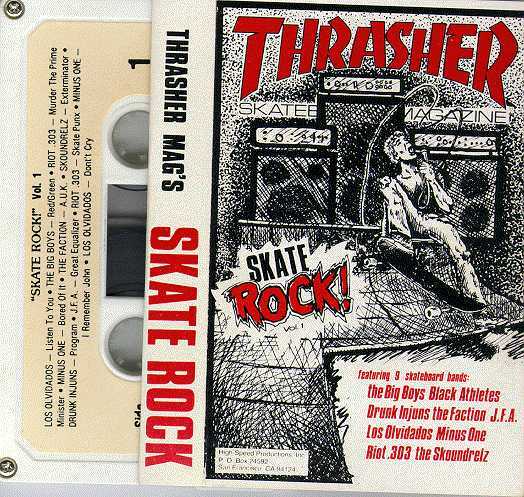 These four tracks don't show up on the compilation that Al gave us, but they are on the mythical tape that we're not allowed to post. So grab these tracks instead (if you don't already have 'em).